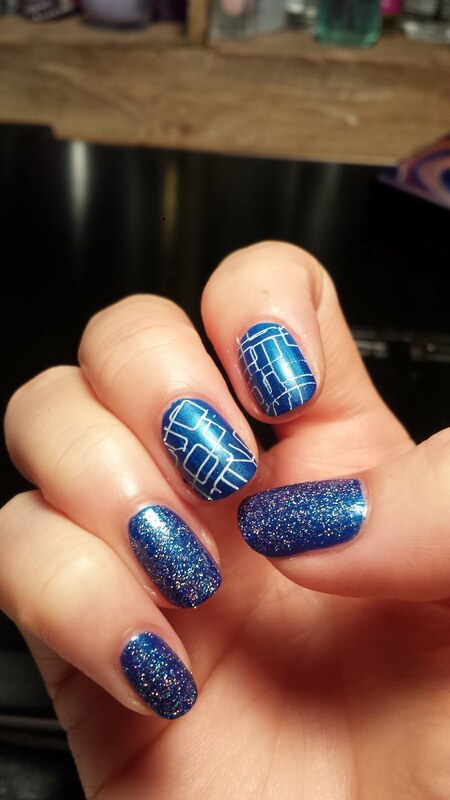 I had no idea what look I was going for when I started this manicure! 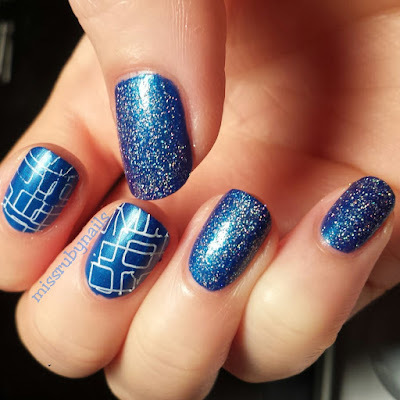 It turned out to be more interesting than I had expected and I love the result of the futuristic/space look of this metallic blue with stamping and fine glitter! 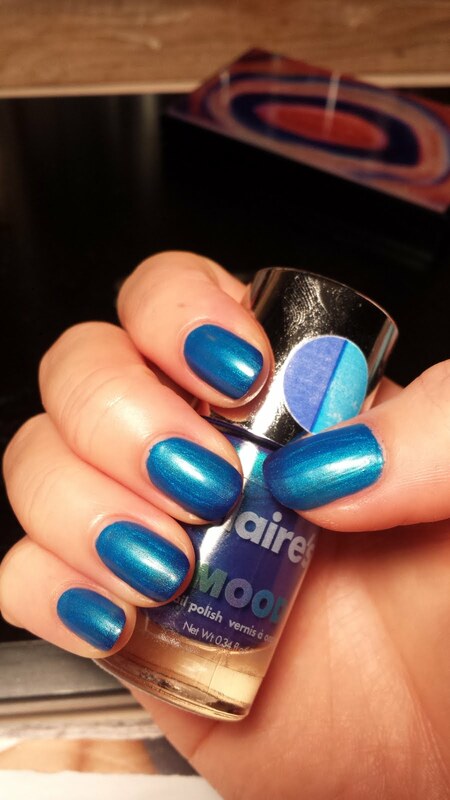 First I painted 2 coats of this metallic blue by Claire's. 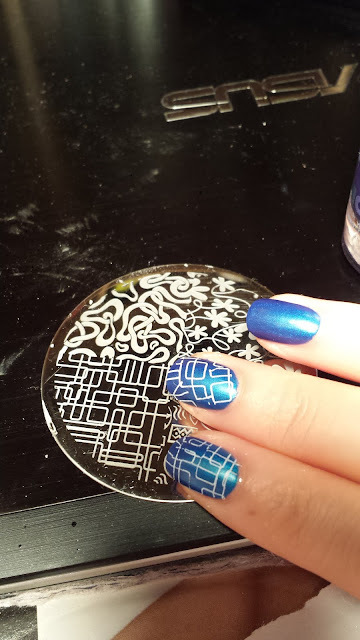 This was a mood changing (thermal) polish and it didn't show a noticeable different when I tested it out with ice/hot water. I couldn't even take a good photo showing the different shades of blue! I also bought a pink/white one when I got this blue polish at Claire's and that one had a more noticeable color change for different temperatures. Click HERE for review of the pink/white thermal polish! I then took my stamping plate and used a white polish to stamp on the pattern that resembles computer circuits, on the 2nd and 3rd fingers. 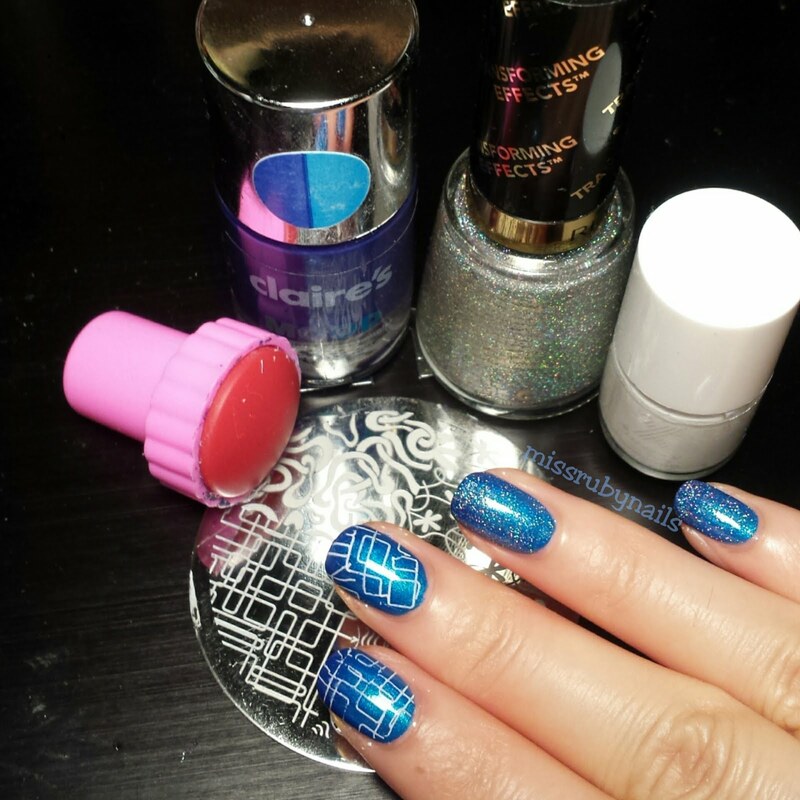 I then simply added a fine silver glitter on the rest of the nails and we are done! This silver glitter almost made it looked a little holographic and I love the results!